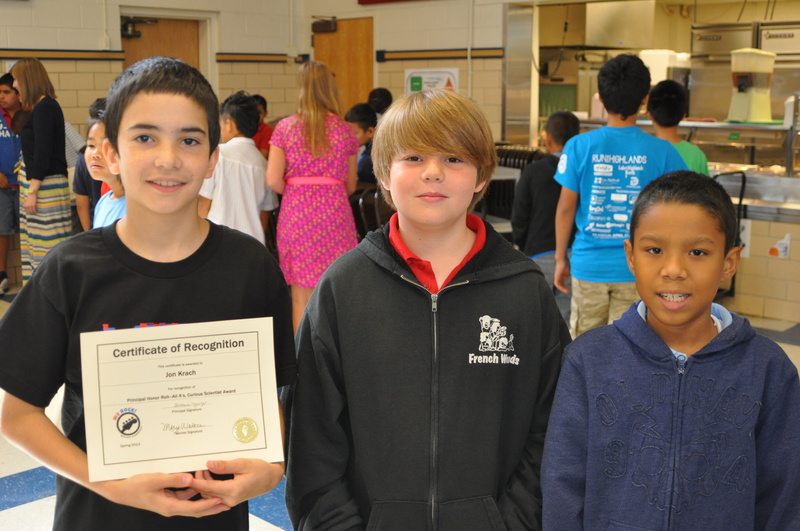 5th Grade Awards: STAARS Recognition! John (L) and Xavier (R) are my two best friends from Ms. Waters’s class at Wallace Elementary School. In Texas, there is a state test called the STAARS test. You have to pass it to be promoted in some grades. Every year after third grade, you take 3-5 of the STAARS tests, and if you don’t pass them, they hold you back. Everybody gets really, really stressed about them. Teachers, kids, parents — I mean everybody. We have tons of homework, Saturday school to practice skills that the school thinks will be on the test, and extra tutoring sessions that everybody has to stay after school for, even if they aren’t having trouble with a subject. I already knew I had passed all three of the tests I took this year (Reading, Math and Science are the 5th grade tests), and I knew my scores were pretty good. Today was the end of school awards ceremony for 5th grade. And I found out that I was “recognized” for STAARS this year. That isn’t as good as being “commended”, but it’s a lot better than failing the test and having to repeat a grade, or just “passing”, so I was pleased. That doesn’t mean I like the STAARS tests, though. I don’t see why they are so important. I mean, if you get good grades all year, I don’t think you should be held back because of one test. Some people are just freaked out about tests, and even if they’re really smart, they don’t do as well as tests as they could just because they’re scared. I also got the Super Scientist awards, and a certificate for being on the A/B honor roll. So did my best friends in my school, Jon and Xavier. Just one more day of 5th grade to go. I’d kind of sad about that. I like my class, and I like seeing my friends every day at school.